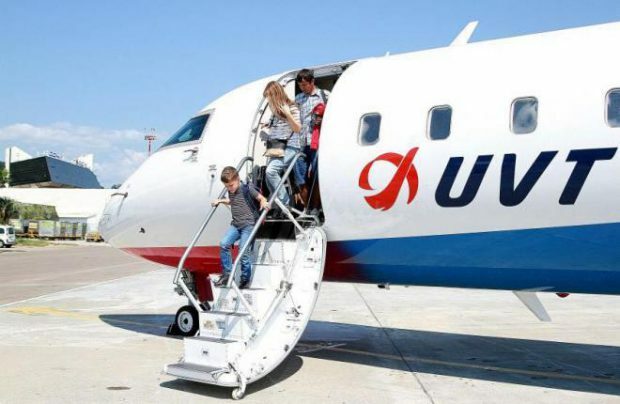 Tatarstan-based regional carrier UVT Aero Airlines is reportedly gearing up to launch operations of its Embraer E-Jet aircraft family. In May the airline posted on its social media accounts an announcement about the recruitment of instructor pilots, captains and first officers for the E190 type. Although the airline has failed to respond to Russian Aviation Insider’s request for comments, according to earlier announcements the airline intends to launch a fleet renewal programme some time this year and previously stated that it was evaluating the Embraer E190/E195, Airbus A319, Boeing 737-700 and Sukhoi Superjet 100 (SSJ 100) to fill the role. It is initially looking for three aircraft no older than eight years old to start operating them on charter routes, before continuing with further fleet expansion plans. UVT Aero needs to expand its fleet to satisfy its route network development ambitions, including the launch of international routes. As announced by the airline’s CCO Stanislav Kozlenko, the airline wants to link Tatarstan’s capital with direct services linking Kazan with Paris, Milan, Munich and Tel Aviv. The airline has no international flights at present, but in July is launching service to Batumi in Georgia from Kazan, Perm and Ufa utilising one of the seven of 50-seat CRJ200s it operates. UVT Aero was founded as a replacement for the Republic’s ceased carrier Ak Bars Aero in July 2015. It currently ranks at number 30 by passenger traffic among Russian carriers. According to Russian Aviation Insider’s sister publication ATO.ru, in the first quarter of this year the airline carried 43,600 passengers, up 6.5 per cent on Q1 2017. During the period, its seat load factor decreased three percentage points to 61.9. From its two bases at Kazan and Bugulma, UVT Aero covers a network of some 20 cities within Russia, including Moscow, St Petersburg, Sochi, Kaliningrad and Simferopol.